I often pressure cook some fish in the Instant Pot just to have in the fridge for salads. 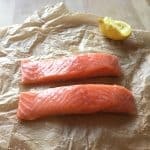 I’ve been meaning to post this for ages so here it is finally: How to cook FISH in the Instant Pot – Salmon, white fish, any fish. This method is super easy and it even works for frozen fish. COOK FOR ONE OR FOR 5–6-7-8… Just scale it up. Use the same parcel for all the fish or different parcels for different flavours. 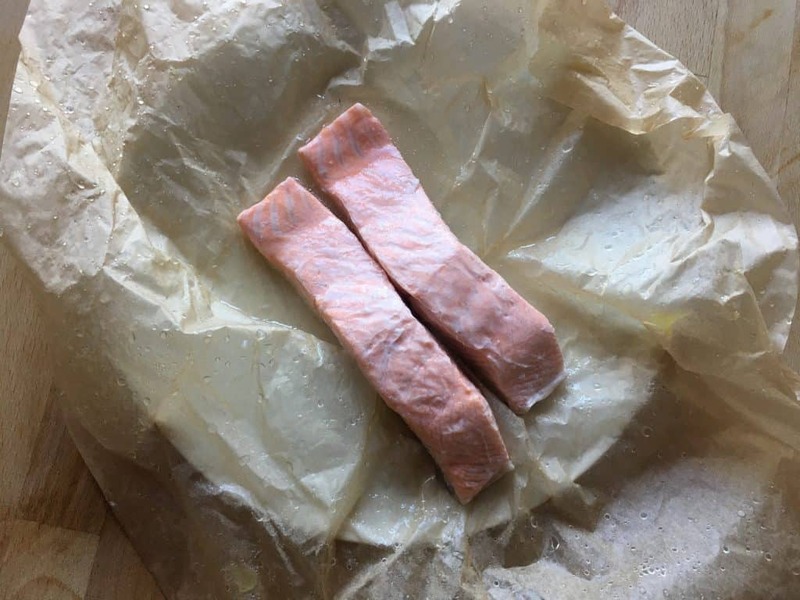 I wrap the fish in parchment paper parcels, you can keep flavours in that way and the heat gets in faster than with foil. 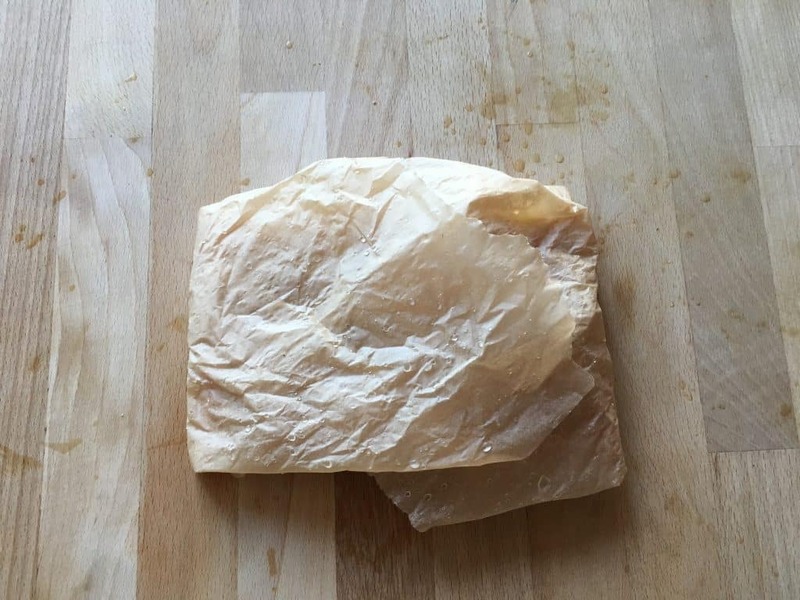 Parchment paper, baking parchment, baking paper, greaseproof paper… different names for the same thing. Chances are you already have some at home. I always wet the parchment paper to help the heat get through, then wring it out by scrunching it up and stretch it out again. Then place the fish fillets on it. I add the flavours I want. Usually lemon and sea salt. Sometimes I add olives, sometimes tomatoes, whatever I fancy. 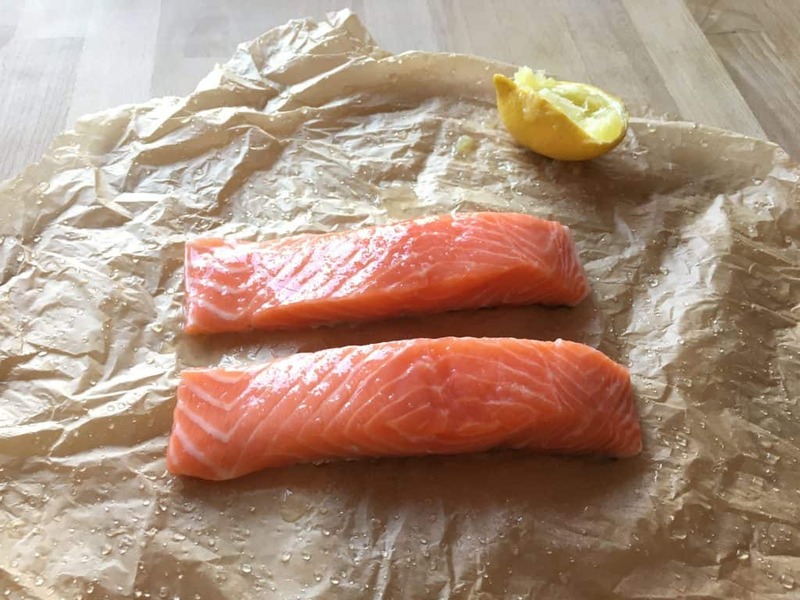 It’s super easy, I need to cook more fish at a time really as it’s just as easy and convenient as eggs to have in the fridge for snacks, salads, etc. You can do this for all kinds of fish. Play with the flavours: my daughter loves when I do parcels of hake with soy sauce and lime juice for her. Someone suggested sweet chilli sauce recently too which I really want to try. For a dish that uses fish a different way, check out my Instant Pot Prawn, Trout and Pea Risotto. 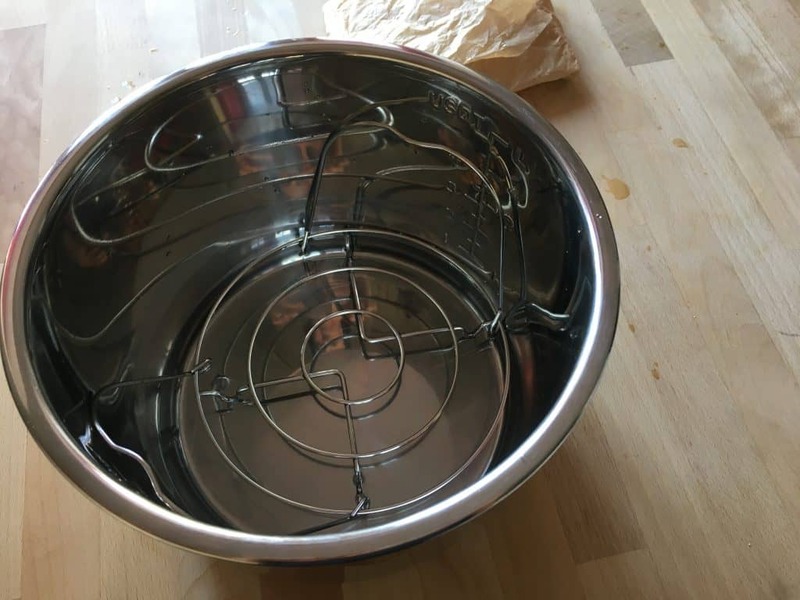 Have you joined my Pressure Cooking UK with Feisty Tapas Facebook group? Pressure cooking fish in your Instant Pot couldn’t be easier. Just follow these simple instructions and play with the flavours. This even works for frozen fish. COOK FOR ONE OR FOR 5. Use the same parcel for all the fish or different parcels for different flavours. Parchment paper, baking parchment, baking paper, greaseproof paper… different names for the same thing. 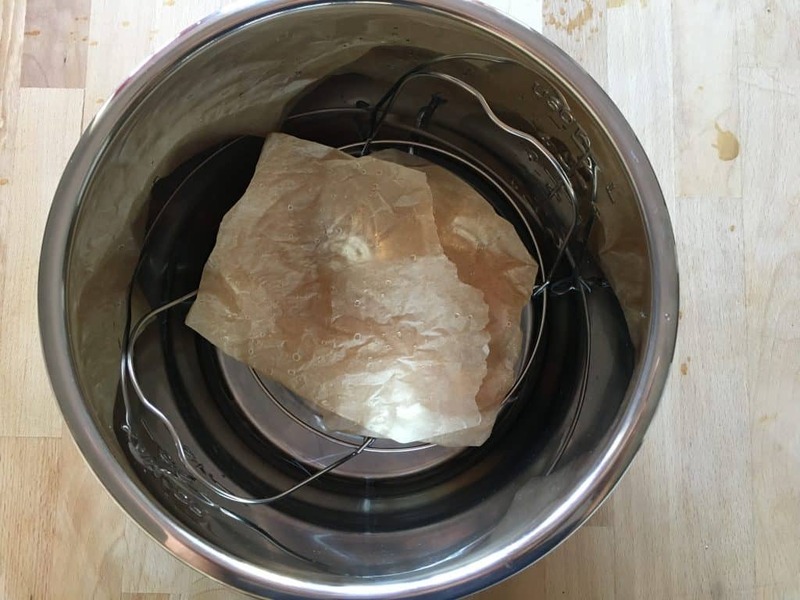 Dampen the parchment paper under the tap. Scrunch it up to get rid of excess moisture. Stretch it out again. Place the fish inside with any other ingredients you want to add. I love using at the very least a little bit of extra virgin olive oil, sea salt and a couple of twists of the black pepper mill. Lemon is good too. Play with the flavours. How about some harissa paste or aioli? 250 ml water from the cold tap in the inner pot. Trivet in place. Parcels on the trivet. Make sure the sealing ring is in place properly, press it down following the circumference to make sure. Lock lid in. Steam release handle pointing to Sealing. 3 minutes on Steam with quick release (the quick release I tend to do 1-2 minutes later because I forget, I’m busy doing other things…). The BRAND NEW Feisty Tapas membership – Feisty Warriors – Challenge Accepted! Instant Pot Whole Butternut Squash – make peeling easier!